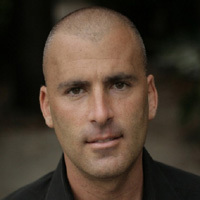 Kevin Arnovitz is a basketball specialist for ESPN, where he edits and contributes to blogs about the game as well as presents radio and TV commentary. At ESPN and TrueHoop Arnovitz has covered a wide range of topics, including the rise of the Los Angeles Clippers, the resurgence of basketball in Atlanta and the social dimensions of professional sports. He is a former contributor and editor at NPR, and has written articles analyzing the evolution of gay athletes in sports. Kevin is a graduate of Columbia University. + Click here to view some of Arnovitz’ latest work for ESPN.